Locks one time only, there is no key! It's easy to love somebody deeply to have a lover, friend, or family member in your life that shapes your happiness but it isn't always easy to let them know exactly what they mean to you. 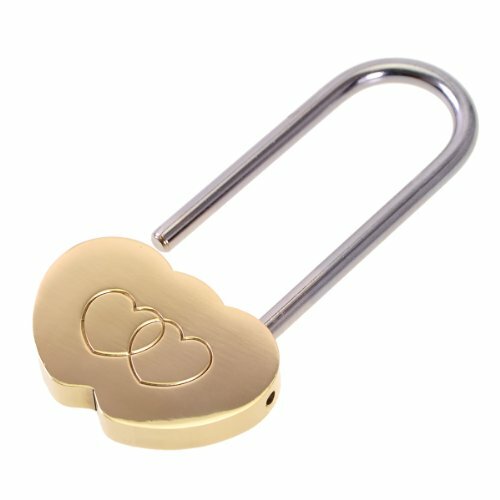 Love lock commemorative padlocks are a perfect way to show somebody just what they mean to you. Solid brass double heart shaped. Hand polished to a brilliant satin finish. Brass will patina over time. Note: Locks one time only, there is no key!